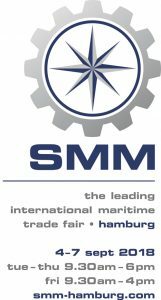 Hamburg September 4 – 7: The 721T liftboat drive package will be on display when PTS joins Bonfiglioli to exhibit at SMM International Marine Trade Fair. OTC, Houston April 30 – May 3: PTS and Bonfiglioli will display the 721T liftboat drive package this year. We can be found in the Bonfiglioli booth # 12041, located just inside the entrance at the main tram drop off. OTC showcases leading – edge technology for offshore drilling, exploration, production, and environmental protection. OTC is the world’s foremost event for the development of offshore resources. The conference, in its 50th edition, attracts attendees and exhibiting companies from around the globe. ABS Design Approval has been granted for our new Lift Boat Drive. This drive utilizes a planetary gearbox designed by Bonfiglioli combined with mounting components and a pinion designed by Power Transfer Solutions. Power Transfer Solutions can provide a complete Jacking System package including drives, power units, and controls utilizing field proven components and designs.